It was a colourful day at Fred. 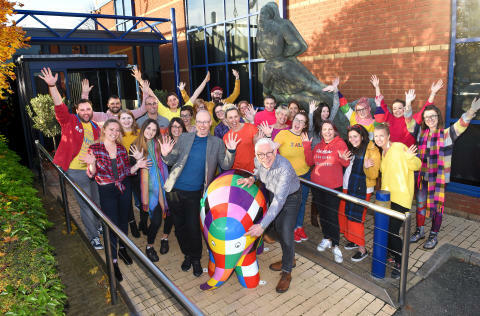 Olsen Cruise Lines’ head office in Ipswich, Suffolk, on Tuesday as staff welcomed Elmer the Patchwork Elephant to help mark 30 weeks until Elmer’s Big Parade Suffolk takes over the town in aid of St Elizabeth Hospice. Elmer spent the working day at Fred. Olsen House, with staff wearing their boldest and brightest colours and taking ‘selfies’ with Elmer, in return for a donation to St Elizabeth Hospice – and, along with Fred. Olsen Limited colleagues at Dencora House, also in Ipswich, raised £148 for the cause. Elmer’s Big Parade Suffolk will see 50 uniquely designed Elmer sculptures taking over Ipswich town centre and waterfront, marking the 30th anniversary since the first book on his adventures was published by Anderson Press. The trail will raise funds and awareness for Ipswich-based St Elizabeth Hospice, which is also celebrating its 30th anniversary next year. “Just as St Elizabeth Hospice will be doing in 2019, this year we at Fred. Olsen are celebrating our 30th year in Ipswich. 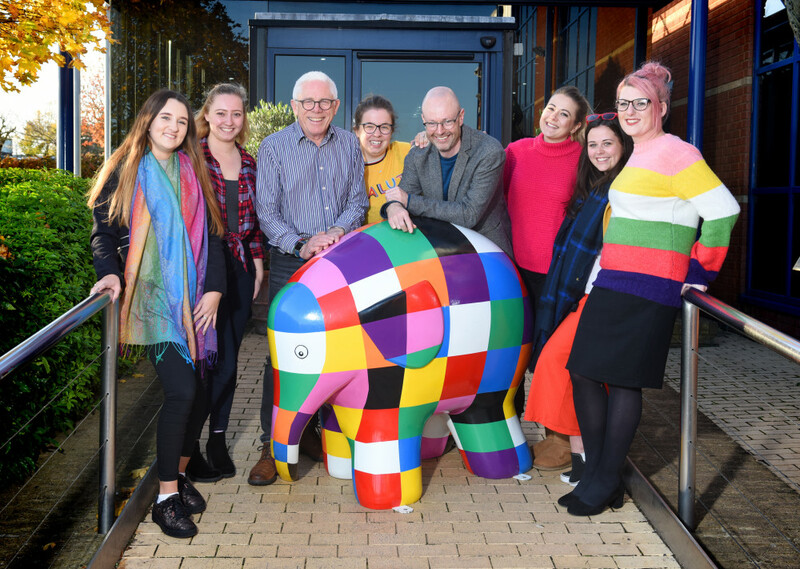 After we were named as the 30th Elmer sponsor in February, it seemed only fitting to continue the ‘30’ theme by inviting Elmer to our office to mark 30 weeks to go until the trail begins. 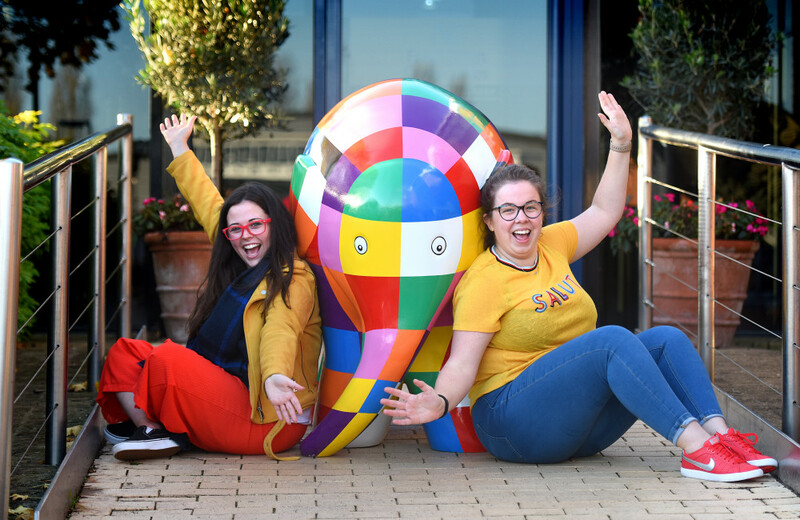 “Our staff had a great day taking pictures with Elmer, with many even bringing in their children to pay him a quick visit, and it was great to see so many bold colours brightening up Fred. Olsen House for the day. Norman Lloyd, Campaign Manager for St Elizabeth Hospice, said: "Fred. 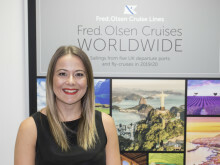 Olsen are a really supportive sponsor and when they suggested holding a 'patchwork day' to celebrate the fact that we have only got 30 weeks to go until launch we thought it was a fantastic idea! “The campaign is really gathering speed now and each week sees us crossing more exciting milestones off our list." In addition to the 50 large Elmer sculptures, ‘Elmer’s Big Parade Suffolk’ will also see 100 ‘young Elmers’ located around the town in summer 2019. It follows on from the hugely successful ‘Pigs Gone Wild’ trail in 2016. The Parade will once again be run in conjunction with public art event specialists, Wild in Art, and a new partner, Andersen Press, which owns the publishing rights to ‘Elmer’. It is hoped that ‘Elmer’s Big Parade Suffolk’ will rival the success of ‘Pigs Gone Wild’, which attracted as many as 250,000 visitors to Ipswich and boosted the local economy by an estimated £1 million. Elmer the colourful patchwork elephant has been a nursery favourite since the first book was published by Andersen Press in 1989. A modern classic, this picture book is known to millions, and the entire Elmer series has sold over 8 million copies around the world. The subtle inclusive message is that it is ‘OK to be different’.